The enthusiasm of a teacher is priceless. Seeing and feeling the love a teacher as he or she shares passion or joy about a subject can propel a normally shy kid to ask questions or conduct further research at home on Google, or even step to the front of the class forever changing his or her life. This is what happened this year regarding teapots and…. cairns. 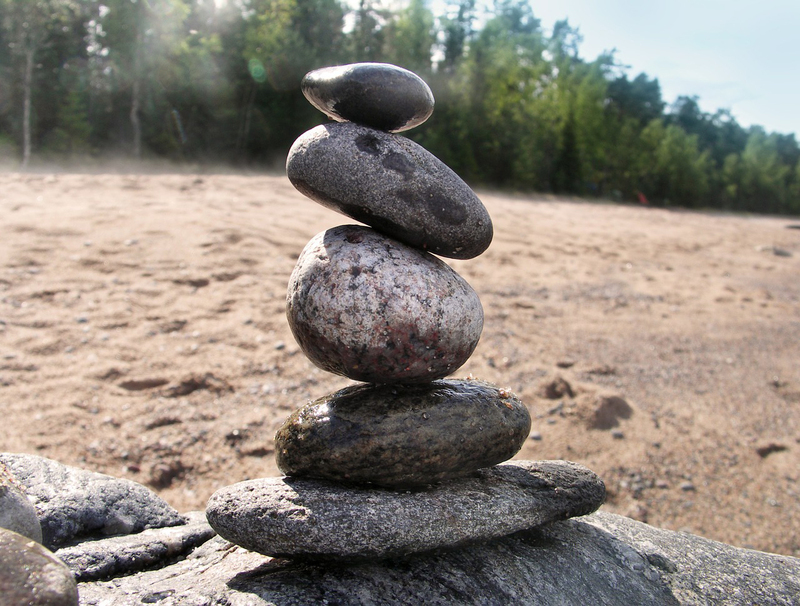 Cairn: Per Wikipedia, a cairn is a human-made pile (or stack) of stones. 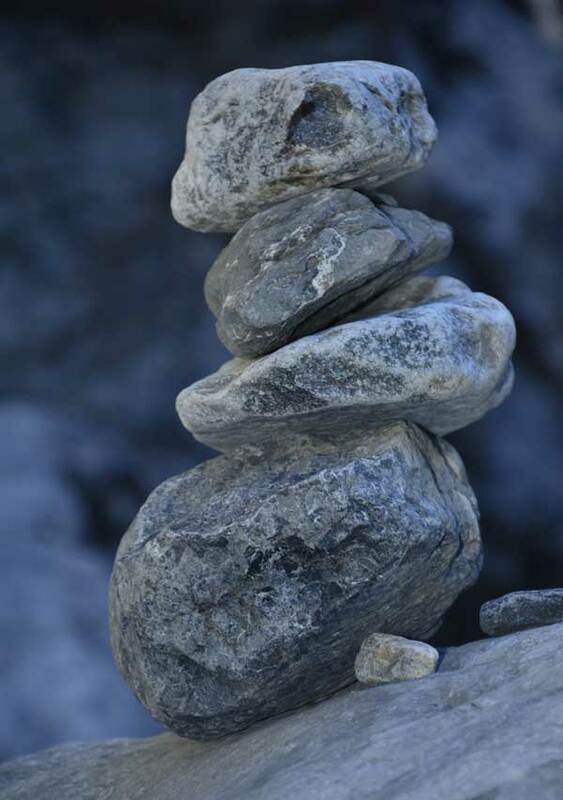 The word cairn comes from the Scottish Gaelic: càrn (plural càirn). In modern times, cairns are often erected as landmarks, a use they have had since ancient times. However, since prehistory, they have also been built and used as burial monuments; for defense and hunting; for ceremonial purposes, sometimes relating to astronomy; to locate buried items, such as caches of food or objects; and to mark trails, among other purposes. To me the cairn illustrates the importance of Staying on the Path. My pottery teacher is a master potter. He is world re-known for his art, has exclusive clients, and most of all he teaches what he loves and loves what he teaches. This year his students were asked to create a series of pieces that tie-in somehow with one another. I completed my assignment, starting with these concepts: earthy, elemental, chakras and concluding with geology, rocks, and cairns! Making rocks isn’t as easy as you would initially believe. I had a great time exploring the nature of rocks, type of rocks, rock history, even rock stories and questions, including How did that rock end up like that? What forces affected the shape and texture? Any fossils in those rocks? and so on. At the conclusion of class I had created an incense burner that had a large rock base with a deep well (almost like a water collector but works to hold the ashes), a pot with a cairn lid topper, and a teapot, all with the cairn theme. All conveying that important message: Stay on the Path. Now here’s the thing, I never made a teapot before (or an incense holder and am new at making lids); however for some reason I was compelled to make a teapot. I don’t drink tea often. In fact I didn’t even know the difference between a tea kettle and a teapot. BTW, in the U.S.A., a tea kettle is a vessel for boiling water for tea, while a teapot is a vessel for brewing and serving tea. However I do know that there is an ART to enjoying tea – from selecting the type of leaf to make the tea from, to the temperature of the boiling water, to how long and how the tea seeps, and so on. Yes I do have an awareness of the art but I am not fully knowledgeable nor practiced to any great extent. Yet here I jumped in with both feet to make my first tea pot – with the cairn concept. Here is where I share with you that the teapot I made, with the cairn theme, is a soulful and artistic expression combining the cairn message and the ART of enjoying tea. This teapot was also created without me providing any heads-up to my instructor, who by the way is very well know for making amazing teapots. So as you can imagine, when I readied my pre-bisqued piece i received ‘The Look‘. Can you see the cairns? Community and intent, gathering wood, for the greater good. This is my experience with the first phase getting ready for the wood firing.